I tried to find out the history of this pasta because I don't think my grandmother was rolling pasta dough. I'm pretty sure there is a historical story, something to do with Italians or French invading and settling in Syria and forcing them to eat pasta, but all I got from my mom was "what do you mean by whats the history of this dish? we make this all the time, for as long as I can remember" And then she proceeded to tell me other ways I can create this dish. 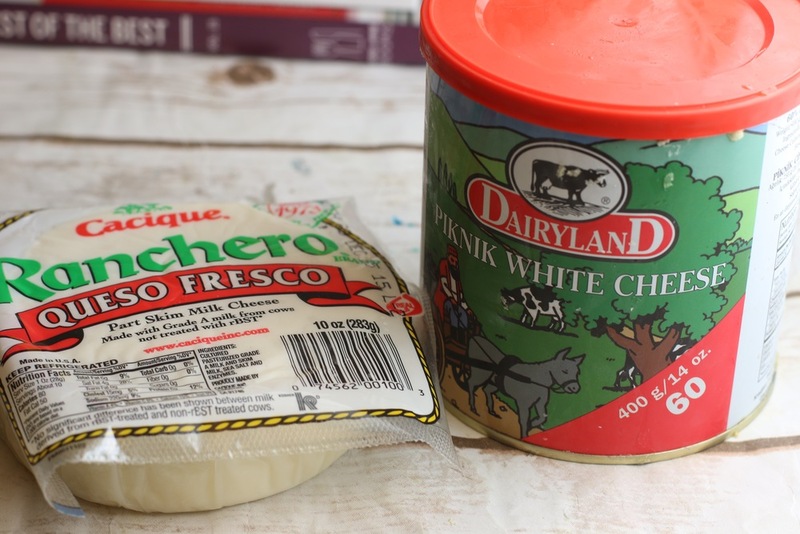 The red cap tin cheese pictured below is a cheese that is very similar to Feta. I used to only find it in the ethnic supermarket but lo and behold I started finding it at my Costco. Another score for Costco. So for this dish I used the Quesco Fresco, the Piknik cheese, a little bit of mozzarella, and tons of parsley. 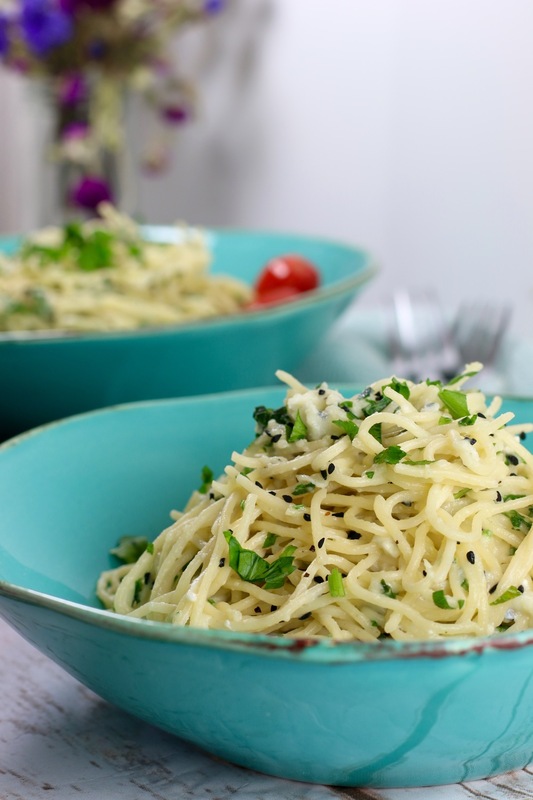 You have to have it with a tomato to get the full "I'm sitting on a balcony on a warm summer Damascus day eating my 3 cheese pasta" feeling because parsley and tomato go hand in hand in Syrian cuisine, much like garlic and cilantro but I'll talk more about that in another post. FYI, I feel like I'm writing so much, please comment and let me know how I'm doing lol. It feels so weird to be writing to open space Internet world! And to be honest, I feel kinda lost without emoticons, I didn't realize how often I use them to express myself. But anyway, let me know how I'm doing and if you try this dish and how you like it! Enjoy and let me know how you like it in the comments!